The Healing is Always Christ: A Very Special Canadian Goose Story (or, Two Geese to Get My Attention) and Poems on Jesus' Love and Purpose Toward You! 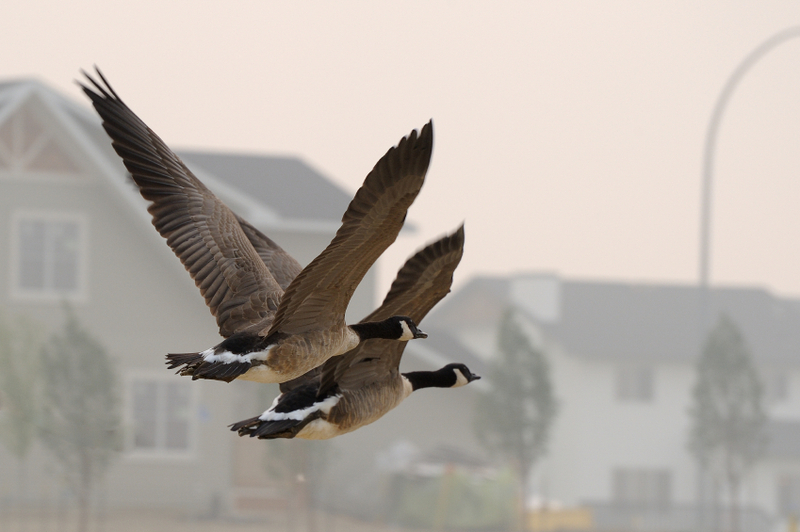 A Very Special Canadian Goose Story (or, Two Geese to Get My Attention) and Poems on Jesus' Love and Purpose Toward You! There are many beautiful stories about geese: their loyalty, how they stick together and work together, and how they mate for life. Probably the most famous story that comes to mind is the one about how geese fly in a V, and if one goose falls behind or gets hurt and is grounded, then another from the V-formation comes to its aid until the hurt one is ready to go again. (My dear friend and contributor to this blog, Jan Bracken, told me of the geese and their beauty in this way). Today I have a story for you that came directly from God, through the Holy Spirit, to me. I watched the story unfold one day, and it has sustained me, showing the great love and power that the Lord gives us daily. One day last spring I was particularly bedraggled and upset. The weight of continuing financial burdens had hit me particularly hard for certain reasons, I am sure. As I pulled up to the bank to go inside, I noticed two Canadian geese. They are often in pairs and also seen around that area... One goose was eating hungrily, not in a panicked-fashion, from the grassy patch; the other goose stood on one foot only- an entertainment to my eye- nearby the first goose that was eating. Another bank customer and I were amused and delighted at the two geese as we walked to the door to enter, and I commented that I thought the one eating was probably the female and that the one protecting her was the male. Inside the bank I transacted my business, came outside, and the pair were still in the same general vicinity but had moved somewhat. This time the female was still grazing, and the male goose had moved closer toward her, and he was on one foot again. Same foot? I do not know! Mentally, I remarked how sweet and wondrous that he would have moved to keep close to her, and yet, he had put one of his feet up again to rest! My, was he steadfast, and still, he had not eaten yet! I got into my car, somewhat lighter from the beauty of the picturesque geese, but I was still heavy-laden in my mind with financial burdens. Suddenly, the thought struck me: I am extremely blessed to have a husband just like that little man-goose! Yes, my husband is like that bird! My Heavenly Father had shown me in a very glorious way that I should not worry about bills and money because I have been exceedingly blessed with a husband who cares for me, loves me, and protects me. How much greater a blessing it is than to worry about money! Even more, I thought, God has given me blessed assurance through my Jesus Christ- eternal life in glory! He is taking care of me and us now. What worries could I have? Through those magnificent geese I could see the love that God has for them, and how much more love, unfathomable, His love for me. Consider it all joy, my brethren, when you encounter various trials, knowing that the testing of your faith produces endurance. Blessed is a man who perseveres under trial; for once he has been approved, he will receive the crown of life, which the Lord has promised to those who love Him. …neither height nor depth, nor anything else in all creation, will be able to separate us from the love of God that is in Christ Jesus our Lord. Jesus alone has given us. Grab onto it, oh, friend! have, every scrap of energy and ability into taking hold of that lifeboat!!! Telling Him you believe in Him as your Lord and Savior. It truly is worth it, isn’t it…? He and your life together are worth everything. I hope you have enjoyed my story and five of my poems, actually favorites of mine~~~ all about the power, love, longsuffering, and majesty of God. My hope is that we do not take His longsuffering for granted. We each do die at some point, our days are numbered by Him, and you do not want to be too late to accept Jesus' gift~ it is not free~ because He paid for it for you and me with His very Life, but you are free, indeed, to accept or to reject it. The Lord loves us enough to give us free choice. Thank you so much Next-Door Nature images!